These are tool heads for cutting grass and bushes, to be mounted on hydraulic arms. 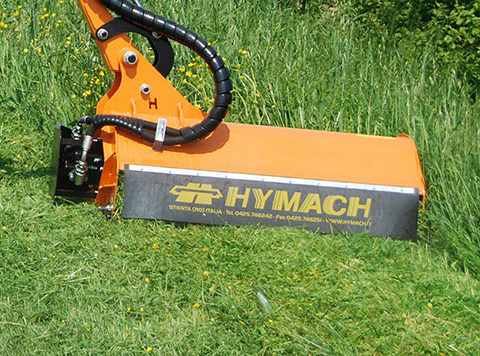 The cutting rotor is available in various models on which different types of blades can be mounted, depending on the type of ground on which you have to work and the type of vegetation to be cut. 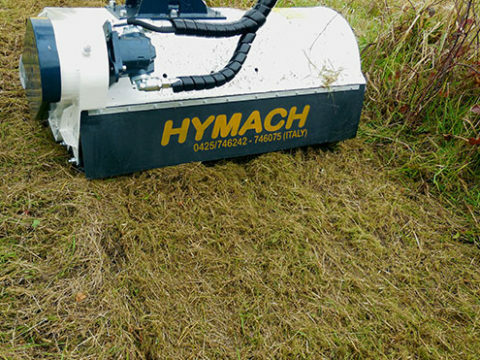 Among these, the rotor with a helical arrangement of the cutting edges allows steady coverage of the area to be maintained. They are available both with rotor-motor direct transmission and side belt-drive transmission, which allows you to place the motor in a protected site and absorbs stresses during operation, thus extending their lifespan. Various models are available which differ in size, structure, materials and intended use. 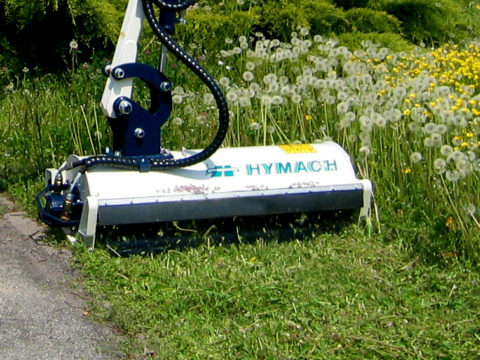 All of them can be mounted onto the new radio-controlled Hymach Robot HP60, which can also work on slopes of up to 50°. 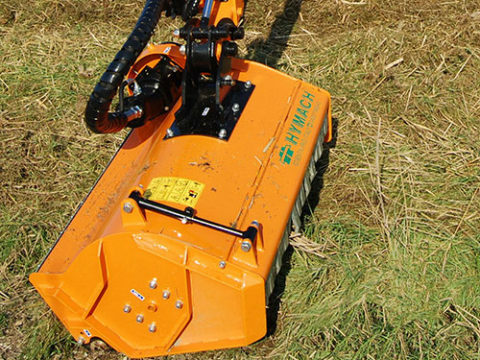 The cutting width of the models ranges from 80 to 200 centimetres. 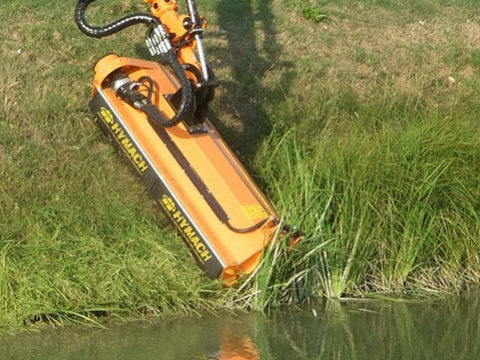 The smallest ones have been designed for short arms, whilst the others can be mounted on any hydraulic arm, according to the user’s preference. 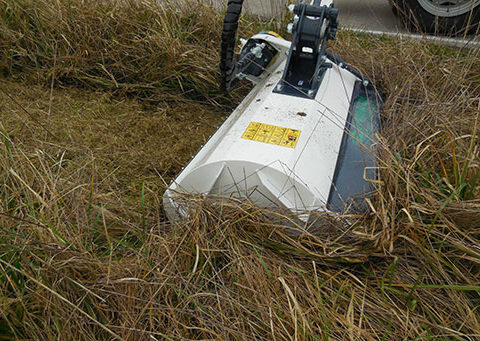 In all the models, the line traced by the rotor corresponds with the shape of the cowling in order to obtain a uniform space to facilitate unloading of the shredded vegetation, avoiding jams inside the head and guaranteeing high productivity. 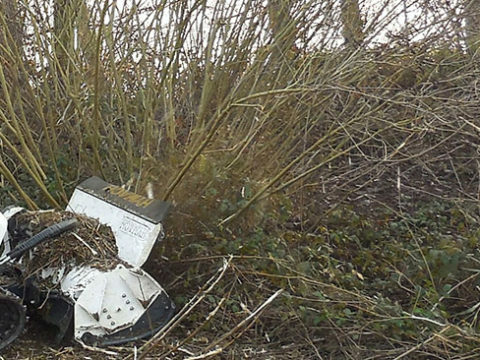 These shredders can tackle particularly demanding jobs and deal with thick vegetation that has been left to grow or is mainly made up of bushes or canes. 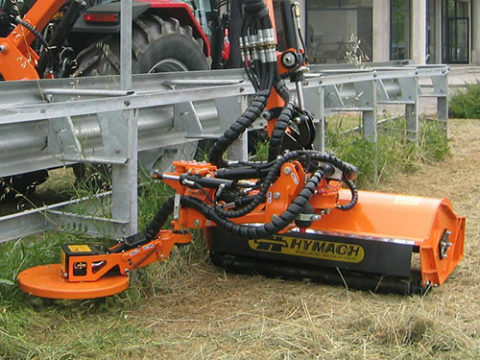 They have a mechanical or hydraulic branch-cutting frame that facilitates the entry of the plants to be cut.